When heading on an African adventure there will certainly be an endless list of places on your bucket list and Victoria Falls is definitely one you will want to cross off. 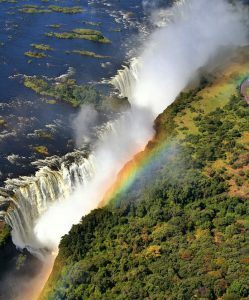 The world’s largest waterfall which straddles the border of Zambia and Zimbabwe is deservingly one of the seven natural wonders of the world. Take a look at our 6 reasons below to makes sure you know why to visit Victoria Falls.. The best way to truly appreciate the splendour and scale of the Victoria Falls is to view them from the air. Why not take a scenic helicopter ride and enjoy a breath-taking, birds’ eye view of the Falls in all their might? The helicopters have specially designed ‘bubble shaped’ windows ideal for panoramic viewing and great photo opportunities from all seats. 12/13 Minute ‘Flight of Angels’ After t.. Fishing in the mighty Zambezi is best known because of the great freshwater game fish – The Tigerfish, and as a result the Zambezi River has become the number one destination for avid fresh water anglers. Powerful, swift predators Tigerfish are a thrill to catch and require a great deal of fishing skill with a good river specimen weighing over 15 lbs. Bream, or Tilapia, also live in large numbers..
Victoria Falls provides a superb wilderness area, with a rugged and varied terrain for horse riding, with experiences available for all levels of rider. Whether you’re a complete novice or an experienced rider, there’s a horse safari to suit everyone. Your ride may involve tracking elephant, buffalo and other game to the shady banks of the Zambezi River, or riding within a few feet of impala or ku.. 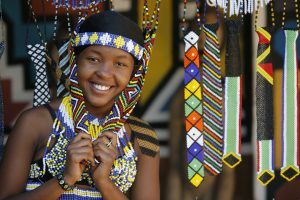 This tour offers a wonderful insight into Zimbabwean rural life and a chance to interact with people of a different culture. This fascinating tour takes us a world away from the luxurious hotels and international clientele of Victoria Falls town, to an authentic rural village approximately 20km away where we have the chance to to watch local villagers going about their daily tasks. This is an oppo..
Make the most of your time at Victoria Falls by taking a day excursion to the Chobe National Park in Botswana. We take a morning coach journey to the Kazungula border where we will be greeted by our Botswana guide. 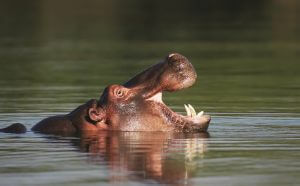 The first activity of the day is a cruise where we spend the morning game viewing along the Chobe River, whose waters are full of pods of hippos and some of the biggest crocodiles in Af..